Thread: the best shoes you've worn. this is a thread dedicated to you're greatest pair of shoes. weird thread, i know but it was just knocking around in my head, so i decided to post it here. anyways, mine would be my current shoes, size ten converse allstars, and my last pair, my size ten (yet again) brown rowley vans. those things ruled. 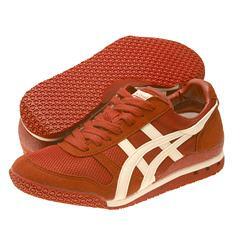 Asics Onitsuka Tiger Ultimate 81s. Light. Breathable. Durable. Flexible. Comfortble. Colorful. Mans Best Friend. Last edited by jetpack42; July 30th, 2005 at 02:52 AM. i only wear shoes beacuse society says i have to. Asics Tiger Ultimate 81s. Light. Breathable. Durable. Flexible. Comfortble. Colorful. Mans Best Friend. jetpacks not kidding he has like ten pairs of those in all different colors. Not really shoes, more like foot sized battle cruisers. Oh, how my feet love them. I always buy shoes from Fly London. Even though they fall apart after 10 months and the website is load of old toss. Olsen: Nice boots. I'd get one if I don't already own 3 pairs of Gore Tex combat boots. Best shoes I've worn would be my combat boots. Running close behind was a pair of Nike Air Hurrache Trainers I've had between 1994-96. Best running shoes ever. ..... I can wear most shoes with my puma low-cut socks and and think they are the best just because my socks feel so good on my feet. So I am going to say Puma socks make a shoe, as far as comfort goes. Size 12 caterpillars. Steel toe, waterproof, fire proof, etc. They're built like a tank, and heavy as hell, but extremely comfortable. I feel like I could smash down a door with these things on. Last edited by Moccomouse; July 19th, 2005 at 05:37 AM. while I lack the teethkicking, curbstomping quality of your guys gear. end hits-you and you're pirate converse!.......where can i get them? why do all you people wear tank boots?man, i've got to get me a pair of those while in london. i wore chucks for a good 4 years. went thru about 8 pairs. favourite of all time were these black chucks with black rubber and red stitching that i sewed circular Emily the Strange patches on in place of the converse star. very nice. see? even australians like basketball boots. My black Converse Allstars with very funky laces! I love those shoes and my wish came true last year, my mum and dad brought me some. Oh the bliss! Alpinestars vector, the durability in these boots are RETARDED, ive had them since they shipped the first models from the factory and ive had them for like 3 years or more, and still there isnt a singe mark on them except on the soles where my foot pegs have been, but you can barely see them. crash- i saw a pair of those once. god i wanted them. ~lover~-sheesh, i should start a converse club. Last edited by broken lizard; July 19th, 2005 at 12:24 PM. annoying. i can't do anything with mine, as i have no materiels suited for shoe customization. the only downside of converse. they're so popular, therefore it's hard to stay uniquely footed. That's why you gotta go with Vans kids. I had a pair once that was so ugly they were the most beautiful shoes i ever did saw. When i wore them at a party a girl asked me if i had bought them like that at a store, like no store would ever sell something like that (which is true to a certain degree). I was so proud. Can't find anything like them anymore. They fall apart after a while, but they're so oldschool. Also Chucks are the Van Halen shoes or so i'm told. I got some flip flops I got at Wal-Mart. They are quick to get on and off. Not very attractive, but very functional. Been wearing the same pair for years. My step-dad has a pair of flip flops made out of a tire he bought in Vietnam... best traction you can get with flip flops. My shoes of choice have been a black and tan pair of Vans for the last 2 1/2 years (they last a long damn time) and before these I had a pair of Osirises (the old grey ones, with blue here and there). I'm looking to buy some DCs, actually... and Red Rook's are exactly what I've been looking for, save for the color. On the other hand, Jetpack's Tiger whatever shoes look pretty badass, too. Nike Air Dura Comfort. Have had them for 4 years or more, and I love them. I wish they could last forever. Damn comfortable shoes, and only their lack of grip keeps them from being perfect. john.o- are those things LEGAL? Groove Z- tire flip flops all the way! not exactly these ones...mines are total black and i use them for work. They cost me 10$ with tax. I've used them for about a month now and they look like they're 20 years old, the bottom part is ripping off. I like'em. alxcote-how can you buy shoes on the moon? I was about 14 when I got them (I'm now 18 ), I intended them to be work boots when I was working on a farm for my uncle. Now I just where them all around with my favorite pair of pants. They were an ugly orange color now my boots are orange in the back and a worn leather brown in the front. It's great. although... I'm looking at retiring them soon, because the soles are split and I live in Seattle... so as you can tell, that's like constantly wet feet, and that's not good.